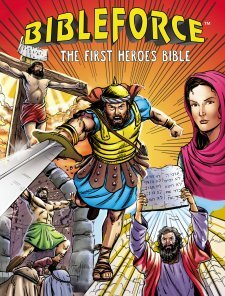 BibleForce The First Heroes Bible By Tommy Nelson Books, Published by Thomas Nelson , is a brand new bible in a comic book format. I was impressed from the moment I opened this thick, beautiful book! I think many readers will be delighted with this bible experience- no mater what their ages. It is no exaggeration to say that in the literal sense, the personalities and historical figures of the bible are the first super heroes. This full color graphic novel- format bible features bold illustrations along side, the fast action packed story of the bible. Unlike other cartoon bible story books, this bible features authentic comic book quality artwork in each and every scene. There are authentically detailed vintage comic cartoons with text that makes the word of God come alive in a comic book type of format. This is a book that will appeal to readers of all ages; not just kids but adults as well, especially comic book enthusiasts. This BibleForce bible represents a wonderful outreach opportunity to reach more people than ever in spreading the gospel message. For those new to the bible this is a great way to learn the gospel message. Those familiar with the bible will enjoy seeing this illustrative adaption and comparing it to the actual bible. This bible is the perfect outreach opportunity for those who love reading graphic novels, super heroes as well as comic books. An entirely new generation will be reached with this new bible. This BibleForce adaption of the bible, would make the perfect gift for yourself or a special loved one. 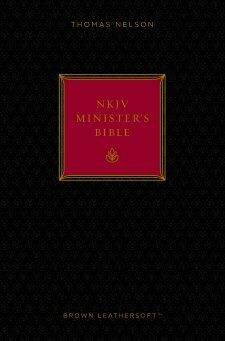 As a mom of 4 kids, I find that I enjoy reading this bible myself as I would to share with my kids ranging from age 3 to 16. 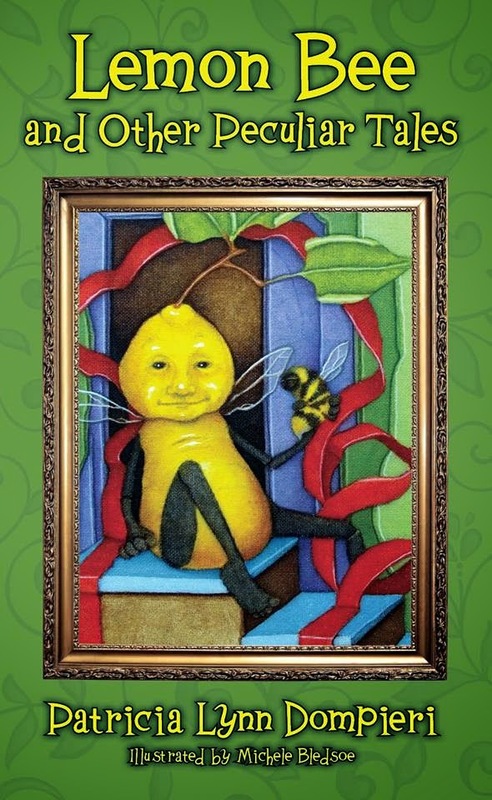 Even if you don't have kids, this is still a book you will want. If you are into comics, superheroes, action sagas and adventure stories, you will love the engaging format of this book that is entertaining enough for young readers, with sufficient attention to detail to engage discriminating adult readers as well. Bibleforce is faithful to the word of God. In fact, difficult to understand concepts such as the parables and revelation, are brought to light with beautiful illustrations and text side by side. The parable of the sower, the good Samaritan and other unexpected adaptions are included in this bible. I found that stories that are left out of other bible story books, even other graphic novel adaptions of the bible- are included here in BibleForce in satisfying and enlightening detail. The dialog is consistent with the bible- other than the comic format, liberties are not taken to dilute the word of God. Its the basic message basically in a new innovative format. One is never too old to read the bible in a graphic format. As a blogger I received a copy of this book for the purpose of writing this review.